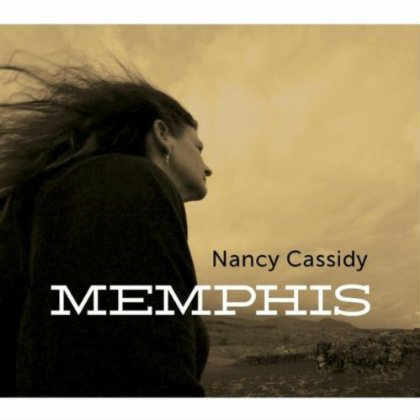 (MusiqQueen/Powderfinger Promotions) – Nancy Cassidy achieved platinum sales with her recordings for young families entitled KidsSongs, and is now releasing her latest album for grownups called “Memphis.” “Memphis” offers up the heart and soul of Nancy Cassidy, the woman whom audiences have grown to love. This powerful and beautiful album is full of soul healing calm and body-quaking rhythms. Nancy’s voice has never been more sultry and moving. Memphis reveals the voice of a woman happy and clear about whom she is and eager to invite you in to catch up. Straight from her heart as always, sung with the clarity and feel of a woman who’s sure of what she’s saying, Nancy brings us songs that are passionate, strong, at times rocking and shaking you by the belt, and then soothing and gentle as the river rolling through the grasslands. Memphis was recorded at Bear Creek Studios and Gadgetbox Recording Studios and was produced by Keith Greeninger. Final mixing and mastering was done by Cookie Marenco at OTR Studios. Even after 12 albums and 2 million sales, Cassidy is still growing as an artist and embracing new fans. You can learn more about Nancy Cassidy at http://www.nancycassidymusic.com. For more information, images, or to arrange for an interview please contact Melissa Zeigler at Powderfinger Promotions: melissa(at)powderfingerpromo(dot)com. Powderfinger Promotions–Independent Radio Promotion and Publicity. Since being founded in October 1994, Powderfinger has come to be regarded as a top indie radio promotion and publicity firm with ties across North America.